Home / vietnam / Prime Minister: "Meeting Trump-Kim is an opportunity to improve Vietnam's investment climate"
Prime Minister: "Meeting Trump-Kim is an opportunity to improve Vietnam's investment climate"
Meeting with the US summit – the dynasty was considered by the Prime Minister as an international event and brought many opportunities to Vietnam. 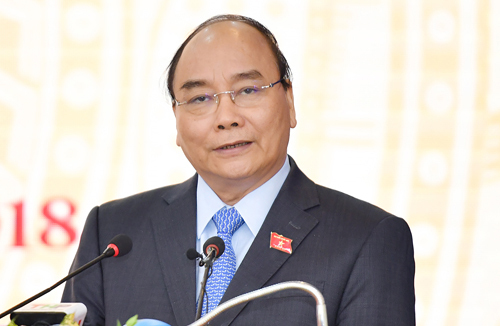 On Tuesday, 12 February, he attended the HNX First Hanoi Trade Fair ceremony, Prime Minister Nguyen Xuan Phuc spoke of a summit between US President Donald Trumpe and the leader. Korean leader Kim Jong-un. The head of the government has confirmed that Vietnam needs to play an international role so that in this important case, "two Vietnamese languages" can be heard. He said the event was an opportunity to demonstrate good investment in Vietnam, the development model in the right direction and the special security and safety of Vietnam. According to Donald Trump's announcement, the second summit with Kim Jong-un in Hanoi took place from 27 to 28 February. Prime Minister Nguyen Xuan Phuc intervened gong to start trading in Kyó Ho. Photo: VGP. As for the stock market in 2018, The Prime Minister has confirmed that the belief in the market increases with the general belief of the country. The equity market plays the role of a medium and long-term capital mobilization channel together with the credit market to help the financial market structure become more efficient and more balanced. Market capitalization has increased 17 times over the last 12 years, with market capitalization reaching 72% of GDP by the end of 2018. The mobilization of private equity capital through equity and corporate bond issues amounted to 86,000 billion GNI, making Vietnam the most successful capital mobilization market in Southeast Asia. However, the prime minister has also recognized many shortcomings, such as modest rates, in particular the corporate bond market. Transparency has many improvements, but discipline and discipline are still not high. Many businesses were equalized, but slowly on the stock market. Investors are not really professional, especially small investors with crowd psychology with great widening risks, the ability to resist market shocks is weak. The mechanism of minority protection is not an adequate market position and lower than other countries in the region. The Prime Minister has asked the Treasury to complete the legal framework of the market, in particular the amended Securities Act, the Vietnam Securities Market Development Project, market restructuring, including the founding goal. Vietnam Stock Exchange Scheduled. 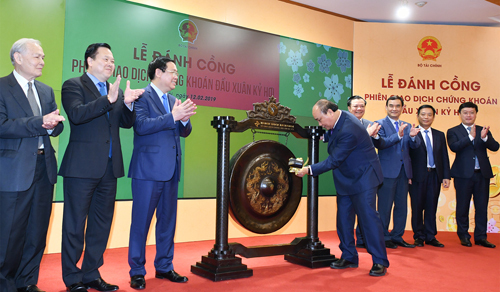 In addition, managing agencies continue to improve market standards and soon upgrade the Vietnam stock market from a marginal market to emerging markets. The Prime Minister also directed further market transparency, increased sanctions for manipulation, reported fake transactions to ensure market development into a safe investment channel for investors and people. people.